To purchase a book, please click on the links below each image. This book is a must for students and teachers alike. 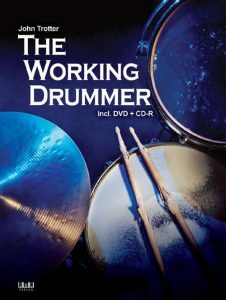 It contains an all-levels guide to drumming in numerous musical genres including: Rock, Funk, Latin, Afro-Cuban, New Orleans, Swing, Reggae, Disco, Blues, Rock ‘n’ Roll, Soul, Fusion as well as contemporary styles such as Drum ‘n’ Bass, Jungle and Hip Hop. It also explores 21st Century Dance production ideas using samples, loops and triggers. Virtually every written example is recoded on the accompanying audio CD. You’ll also be guided through: Rudiments, Groove Building, Brush Techniques, Odd Time Concepts, Displacement, Polyrhythms, Advanced Fills, Soloing, Studio Tips and classic transcriptions by Steve Gadd, Bernard Purdie, Jeff Porcaro, Hal Blaine, John Robinson, Clyde Stubblefield, Stanton Moore, Joe Morello and John Bonham. 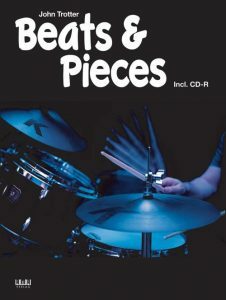 Beats & Pieces is an extension of the Working Drummer book. This time around, rather than focusing on individual elements, it’s about compiling the ideas into pieces and solos. This book is packed full of ideas that will help build vocabulary and give the student a realistic insight into groove building and embellishment. The genres covered include: Rock, Funk, Latin, Afro-Cuban, New Orleans, Swing, Reggae, Disco, Soul, Drum ‘n’ Bass and Jungle. There is also a string of groove variations played with brushes, tom-toms and double kick. 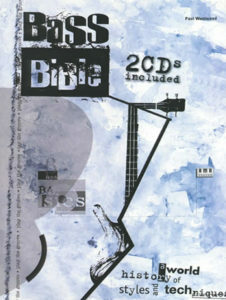 Every example is recorded on the accompanying audio CD. 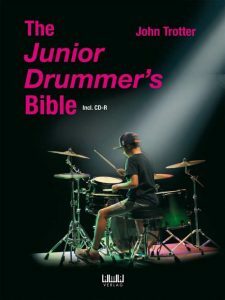 The Junior Drummer’s Bible is a comprehensive book written specifically for students which age from 5 -10yrs. The overall idea was to create an all-styles guide that documented classic ideas, using a simplified notation system. The book contains over 300 pages, it begins with the fundamentals of how to grip a drumstick, explaining notation theory (time signature, note and rest values & dynamics) as well as Rudiments. It then explores a range of styles including Rock, Funk, Latin American, Blues, Swing, Soul, Disco and Military. The chapters are structured in such a way that the exercises dynamically build with hi-hat embellishments and fills. The book also contains a chapter on advanced concepts which gives the student an opportunity to really push themselves. Finally, the book finishes with ten notated solos in a range of musical styles and techniques. Once again, all of the written exercises are recorded on the accompanying audio CD. 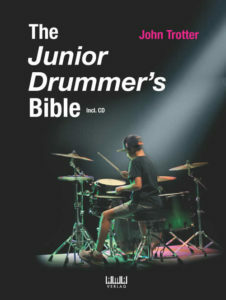 It was a privilege to play drums on the best-selling and highly acclaimed ‘Bass Bible’, written by my great friend and mentor Paul Westwood.